When will be Captain Scarlet and the Mysterons next episode air date? Is Captain Scarlet and the Mysterons renewed or cancelled? Where to countdown Captain Scarlet and the Mysterons air dates? Is Captain Scarlet and the Mysterons worth watching? Earth's line of defence against the alien attackers is the world security organisation known as Spectrum; led by Colonel White, Spectrum uses all its available resources to thwart the Mysteron threat, including a crack team of colour-coded agents, the sleek but deadly Angel Interceptors and the tank-like Spectrum Pursuit Vehicles. One of Spectrum's top agents is Captain Scarlet; once a Mysteron agent, Scarlet was able to throw off his conditioning and regain his sense of loyalty to Spectrum, with the added bonus that he is now indestructible. 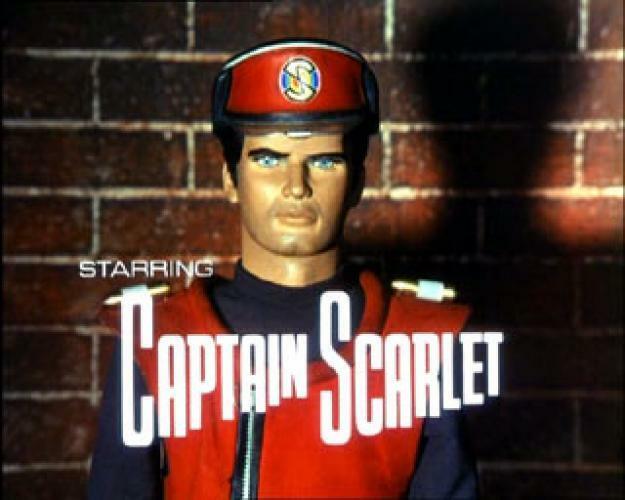 Fearless in his mission to protect Earth, Captain Scarlet is aided by the brave and intelligent Captain Blue, and together they attempt to defeat the menace of the Mysterons.Developed by Gerry Anderson, ‘Captain Scarlet and the Mysterons' is a darker, grittier series to its predecessor, ‘Thunderbirds'. The puppets used are more lifelike and correctly-proportioned, and the show has an increased level of reality and violence - characters are injured, and even die, and Spectrum are not always successful in defeating the latest Mysteron masterplan. Captain Scarlet and the Mysterons next episode air date provides TVMaze for you. EpisoDate.com is your TV show guide to Countdown Captain Scarlet and the Mysterons Episode Air Dates and to stay in touch with Captain Scarlet and the Mysterons next episode Air Date and your others favorite TV Shows. Add the shows you like to a "Watchlist" and let the site take it from there.